On September 21st all around the world, from New York to Mumbai to the green fields of England, a peaceful initiative begins to encourage human-beings (yep – that is you and me) to create more peace inside themselves, to create the more peaceful societies that we all seek. At Ibiza Retreats we will be honouring this world wide connection of peaceful warriors with morning guided meditation and mantras during our Pure Yoga & Revitalisation Retreat. You are WELCOME from 9am to come and join us OR to tune in virtually! 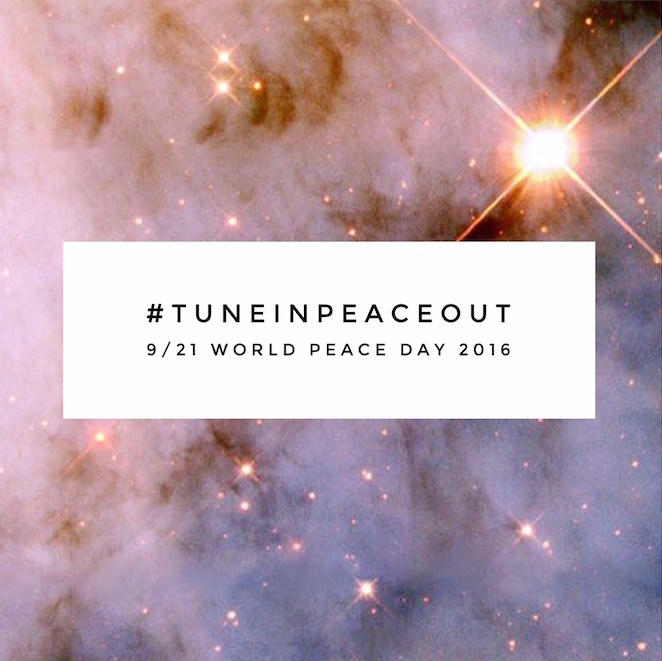 And whether you can find a peaceful gathering at your local yoga centre, Buddhist centre or meditation space, or prefer to explore the peace within can also be found alone… wherever you are in the world on September 21st, here are our Top 5 ways to radiate peace outwards to our beautiful world – which begins, by tuning in. Meditate – find a peaceful space, ensure you are sitting comfortably with your spine upright, so your breathing can flow optimally and your body can remain relaxed. Use cushions or even a chair if you need. Begin to focus on your inhales and exhales, the sounds and sensations of your breathing. Focus on slowing down your breathing, counting the breath in and the breath out, continue to focus purely on your breathing and let any thoughts pass through your minds’ eye like clouds in the sky. Mentally tune OUT – of all devices, screens and mind-stimulants. Choose to just look at emails and other notifications at certain times of the day for a limited amount of time. Make time to spend time in Mother nature – where the energy, spaciousness and abundance of life are healing, nourishing, grounding (which gets you OUT of your head) and proven to calm body and mind. Move your body gently – Our Western cultures spend far too much time “in the head” which raises blood-pressure, over-stimulates adrenals and causes excess anxiety. With yoga (creating union of body, mind and spirit for inner and outer peace), or walking or swimming, focus on gentle breath-aligned movements (rather than going for cardio-vascular training) to bring your body, mind and spirit into connection so that you can hear your inner-voice, that intuitive guidance system that tells you what you need, day to day, to live in peace and harmony. Like a pebble dropped into a pond, as your vibrational state changes, your mind calms and your heart opens, the qualities of the cells in your body changes, enabling your health and happiness to increase which radiates out to all those that you meet, from virtual emails to bus drivers and those on the street. World peace movement – gentle warriors… here we com!